With the exception of a few failed forays into higher education, Tracy Sullivan has lived her entire life in the small town of Alpine Grove. When she is fired from her hostess job, Tracy hits a new all-time career low. Now she’s officially a repeat underachiever and almost completely broke. The income from her second job as a veterinary assistant is barely enough to pay her rent and keep her temperamental dachshund Roxy in dog food. 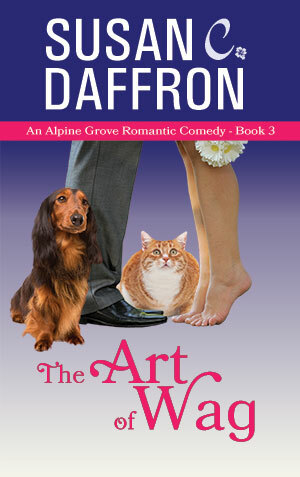 Desperate for a change of scene, Tracy splurges on a digital art class in the city where she meets Rob Thompson, a geeky computer networking guy who wants a new career as much as she does. After seeing her illustrations, he offers Tracy a temporary job, but adding “starving artist” to her dubious list of achievements doesn’t seem wise. Against her better judgment, Tracy takes on the project. But then everything goes haywire and Tracy may never look at her ancient car, fungi, or Rob the same way again.